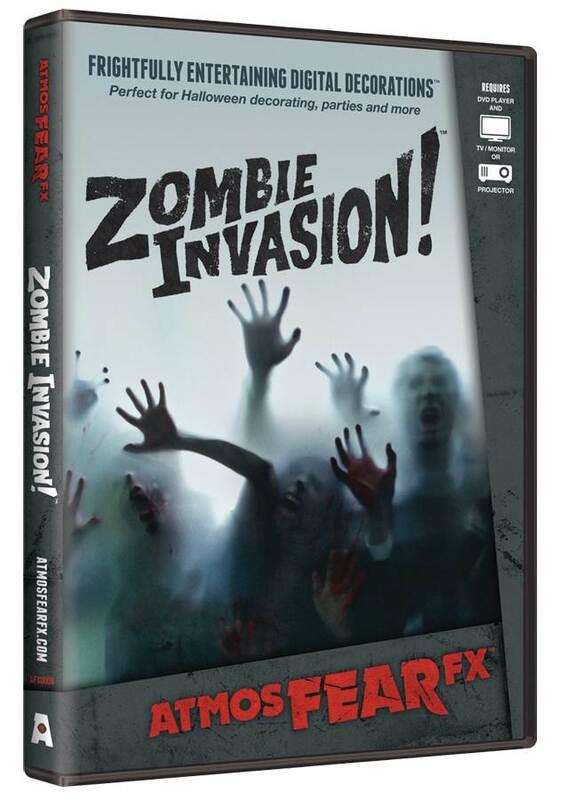 AtmosFEARfx Zombie Invasion creates a frightfully entertaining digital decor! 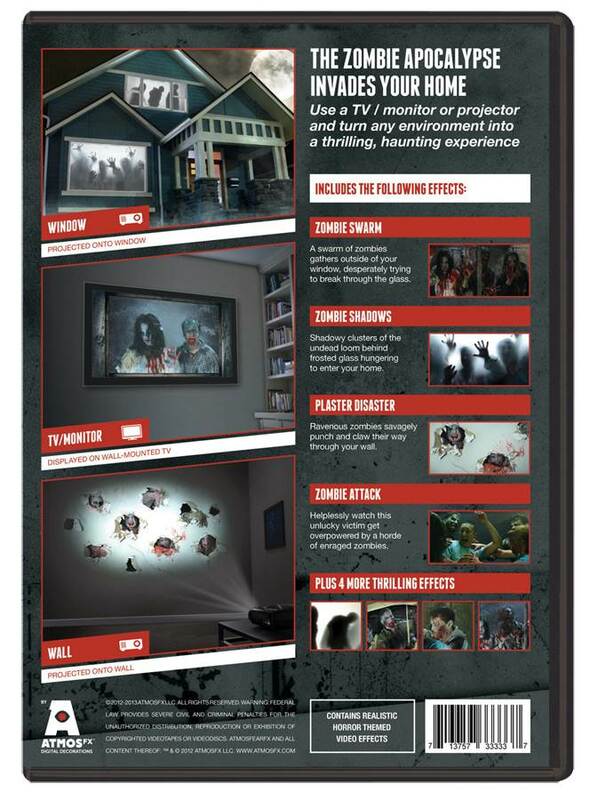 Watch as zombies try to get through the wall or window! DVD includes four display modes: standard, shadow, interior, and exterior. Includes both landscape and portrait TV modes. The effects can be triggered or loop continuously. Soundtrack is included. Great new idea!